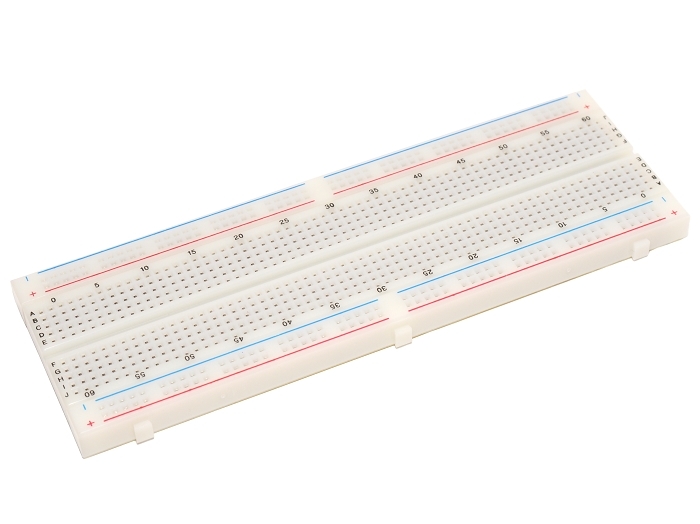 Full sized solderless breadboard with 630 tie points in prototyping area and with 2x 100 tie point side rails. Spacing is the standard 0.1" between points. There is an adhesive backing to conveniently affix board to different surfaces. Around the sides there are tabs and notches which allow multiple boards to be attached together.